Animal adoption and rescue are near and dear to us at MyUntangled Media, come see FOR yourself. In addition to other important tasks, shelters provide a home for pets in need of their forever home. Naturally, we were honored to provide our local animal shelter with a new online home. We couldn’t wait to unleash our creativity, get our tails in gear, and put our paws on the SOAR site. Like any good digital marketing dogs would do, we sniffed out some immediate problems then got to work. We installed the latest versions of WordPress and supporting plugins, upgraded to a faster and fully optimized host server, and cleaned the kitty litter. Actually, we performed a thorough cleanup of the database, not the litter boxes! With a newly redesigned logo and some cat-tastic coastal colors, the SOAR site and rebranding has reached new heights. Perhaps you can teach old dogs new tricks after all. We hope that the freshly reorganized content in this fully responsive website design makes it easier for you to locate your next best friend. 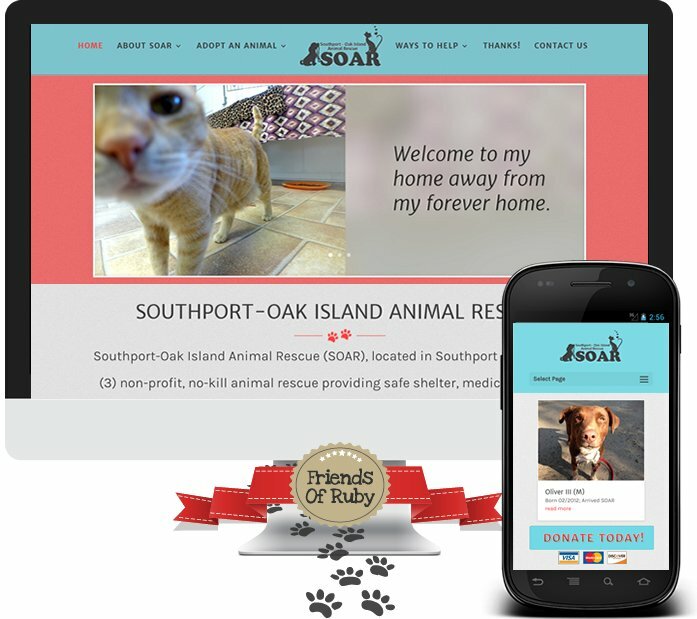 Please check it out live at Southport – Oak Island Animal Rescue.